During a rainstorm, water drains away from the house into the gutters to protect the siding, doors and windows from water damage. To do their job properly, gutters must be free of leaves, twigs and debris. Learning how to clean gutters is important because neglected gutters can overflow and cause water damage to your home. 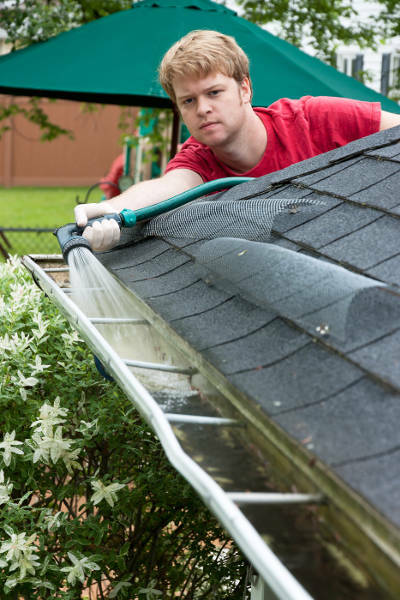 Gutters should be cleaned about twice a year, possibly more frequently if they’re positioned under shedding trees or if your area receives heavy rainfall. Learn how to clean gutters yourself and save good money by doing so. Only take on this job if you can do so comfortably and safely. Use a ladder with caution. You may use either an extension ladder or a stepladder. Just be sure to always place your extension ladder on a sturdy, level base and never stand on the top two rungs. If you do decide to work from an extension ladder, it’s a good idea to place a small piece of 2 by 4 wood inside the gutter to protect it from caving in. You can also work from the rooftop if your roof is low and level enough. 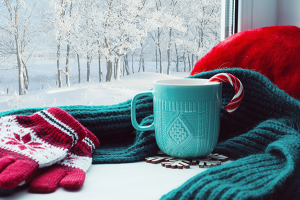 Only do so in very safe conditions, never if it’s too windy, icy or wet outside. Any time you’re working on the roof or using a ladder, it’s best to wear rubber-soled shoes. Rubber-soled shoes provide extra traction and prevent slipping and falling. Gloves can help protect the hands from bacteria ridden debris. They also help protect against any cuts or scrapes from the sharp metal shards of a deteriorating gutter. Opt for thick gloves made with materials such as leather, rubber or spandex, as they’re heavy duty and wont get torn or soak up any liquid. When working in the gutters, you never know what animals may fly out from inside. 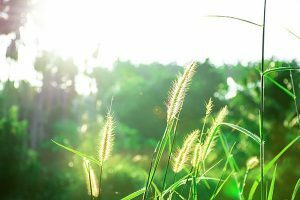 Wear safety goggles or protective eye-wear in the event that birds, rats, frogs, bees or wasps leave the gutters at high speeds causing eye injury. 1. Start by scraping leaves, twigs and other debris off the roof with a rake. This step is important in making sure the next storm doesn’t fill up the gutters again. 2. Now for the gutters. Start at the drain outlet and work outwards. 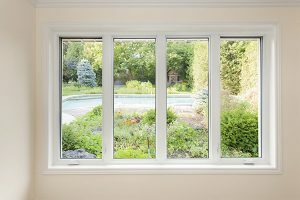 You can use a narrow garden trowel or purchase a gutter scoop to make the job easier. You can also buy an extension pole to attach to the gutter scoop to access hard-to-reach areas. 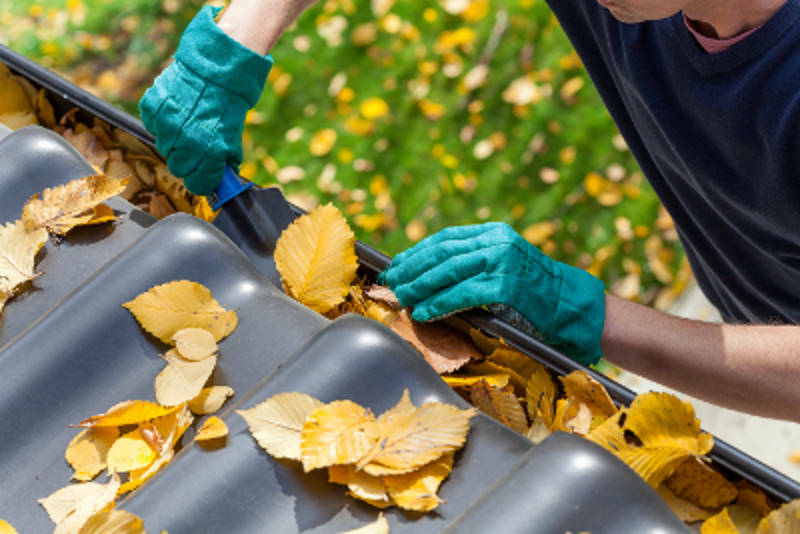 It’s best to do this when the leaves and debris are slightly damp, not too soggy or encrusted in the gutters. This will make the removal easier. To facilitate the cleanup later, dump the leaves and debris into a bucket or garbage bag while you work. You don’t have to throw away the gutter debris, decomposed leaves actually make great mulch or compost. 3. Once you have removed all the larger twigs, leaves and debris possible using your hands and trowel, clean out the gutters with a hose. Put a high-pressure on-off nozzle at the end of your garden hose, and begin washing out each gutter, blasting out remaining debris. While your hose is running,, check to make sure the water is flowing properly through the gutters. Take note of any leaks or overflow issues. 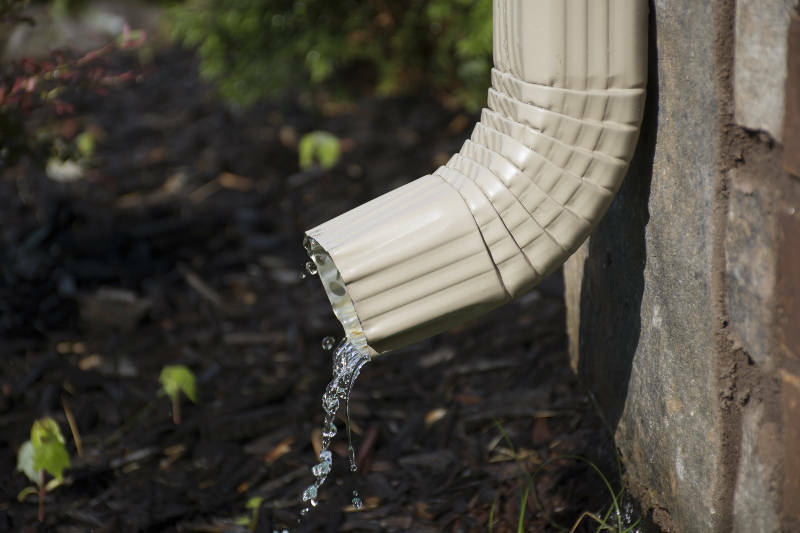 To keep the water moving toward the drainpipe, you may need to adjust the slope of the gutter accordingly. 4. Check to make sure water is also flowing freely down the drainpipe. In the event of a clog, remove the nozzle from the hose and work the hose up the drainpipe from the bottom. You may also opt to use a plumber’s auger (snake) to clear out debris. 5. After your gutters are free of leaves and twigs and have already been hosed down, use a stiff scrub brush to remove stubborn encrusted dirt. In addition to cleaning your gutters, check to make sure they are tightly attached to your home. If they aren’t cleaned out often enough, they can get so heavy that they start to pull away from the siding. Also check your drainpipe to make sure it’s securely affixed to the fascia, the boards at the end of rafters that hold the gutter. Gutters left uncared for can cause mold on your siding. Any mold-causing leaks or overflows can be avoided by cleaning out dirt and debris. Inspect your siding and the gutters themselves for any rust, mold, flaking or dirt. Consider cleaning your siding as well to keep it looking its best. 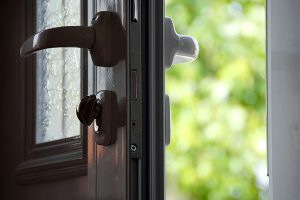 If there are any signs of rotting, cracking, holes, bubbles or peeling it may be time for replacement siding. 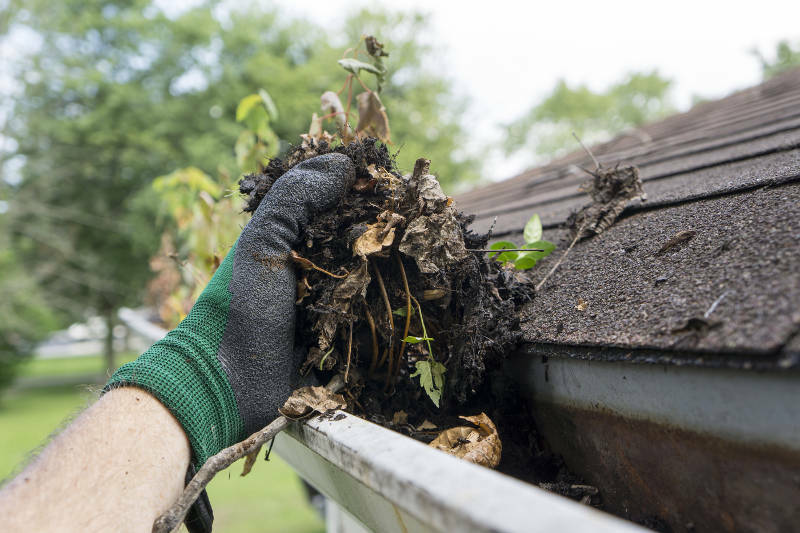 Keep your home in tip-top shape and clear out your gutters of any unwanted twigs, leaves and debris to prevent water damage. Now that you know how to clean gutters, get started today!